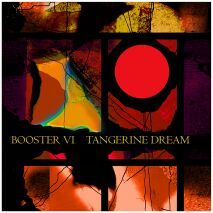 The Booster Series have already become a solid project within the Eastgate releases once a year. On BOOSTER VI you will find the best of both worlds again, some well-known marbles from the newer catalogue as well as a selection of brand new titles not released anywhere else. Some titles will for sure really grab your attention. So as a member of the worldwide TD/Eastgate family we will take you again to some places where you just enjoy yourself within the luxery of your individual phantasy. PS: There will be a RAFFLE among the first 300 people ordering BOTH products (KAFKA + BOOSTER VI) in our shop. We will raffle three prizes: The winner of the first prize – who will be drawn blind out of a black top hat by Iris and Linda (pictured) – will receive a concert ticket, a flight ticket (eco) and a hotel voucher for two nights on the occasion of TD's Moscow concert on June 6th, 2014! As this date will be also Edgar's 70th birthday (!!) the winner will get a VIP pass for the aftershow birthday party in Moscow! Second prize: A One-Year-Subscription to new TD CD and DVD releases. Third prize: Two Zoom-O-graphics (DIN A 3 size on canvas) signed by Edgar plus one shirt of the PHAEDRA FAREWELL TOUR 2014. So take this unique challenge and be a winner! :-) All the winners will be drawn on 20 DECEMBER 2013. SHIPPING START: 10 DECEMBER 2013!! !